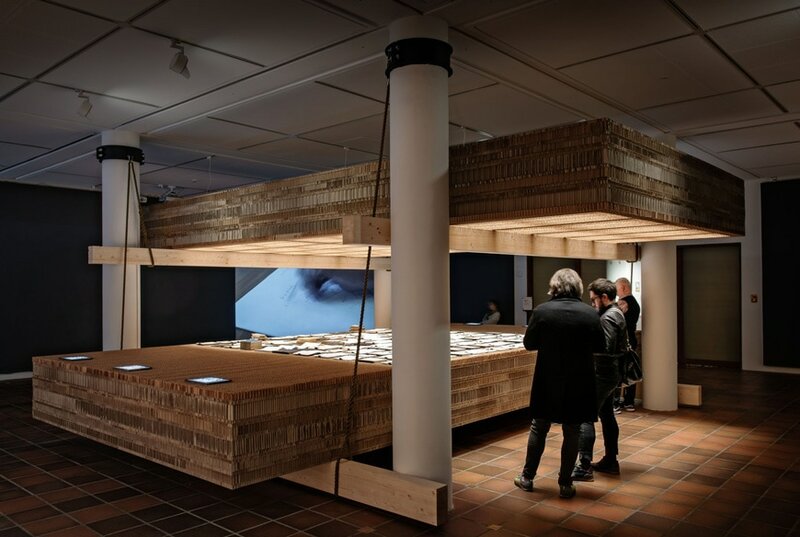 Until February 2019, the Louisiana Museum of Modern Art, in Denmark, hosts an exhibition dedicated to the Elemental Studio of Alejandro Aravena. This is the second of a series of monographic exhibitions of architecture entitled “The Architect’s Studio“. These exhibitions offer the opportunity to get closer to the working process of an individual studio as well as a greater understanding of how ideas become form. In accordance with the world around us, the architects of the series are interested in sustainability and political and social challenges such as climate change and overpopulation, urbanization and cultural heritage. How do intentions, expression, and method play together for the individual architect? It is this question that the exhibition series intends to clarify. 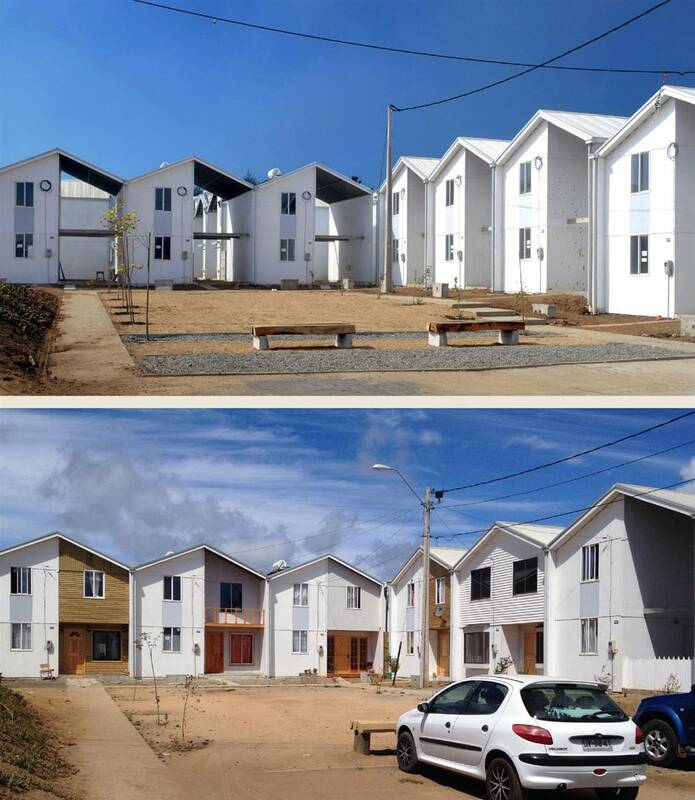 The studio initially became known for its alternative approach to social housing in Chile’s slum areas. If the available financing is not enough, one has to think in terms of new solutions that do not compromise the quality of the project. In 2003, for example, Elemental built its ‘half house’ for the first time: one half, the structural part of a single-family house was built together with an empty half, to which the occupants can themselves add over time. Elemental is responsible for the complicated part of the construction work, the remainder is up to the individual family to complete. This allows the architects to stay within the financial framework, and give the occupants ownership of their new home. The concept of the ‘half house’ is based on a pragmatic reversal of the conventional order, an expanded type of user involvement that gives the future residents a voice in all stages of the process. Villa Verde, Constitución, Chile, 2010, photo: Elemental . Elemental designs many other kinds of project, from university buildings to private dwellings. 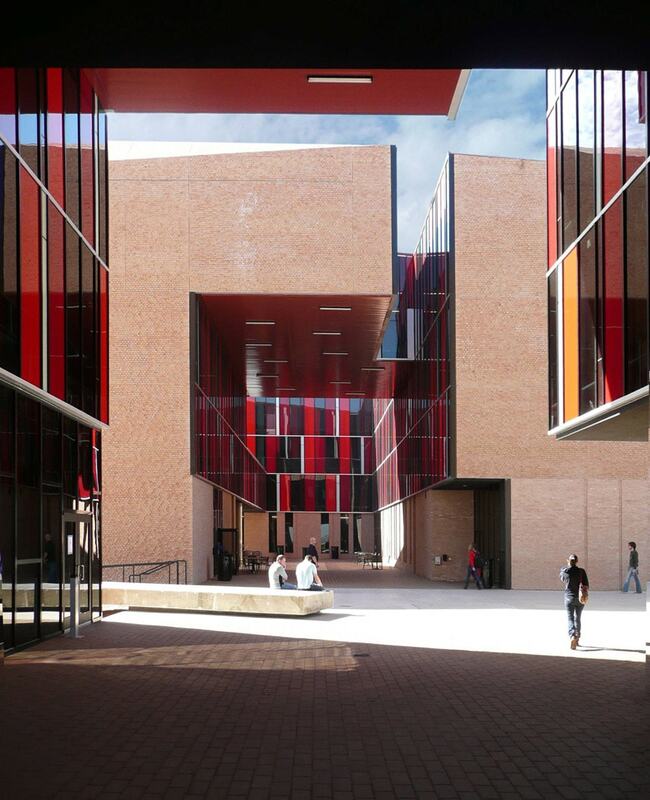 A characteristic of the studio’s other work is the pragmatic use of common sense and simple forms. The totality of the building arises in the work with the forces that are effective in architecture, for example when three volumes are placed one against the other in an interdependence of gravity, weight, and balance. It is about simplifying instead of complicating the design. 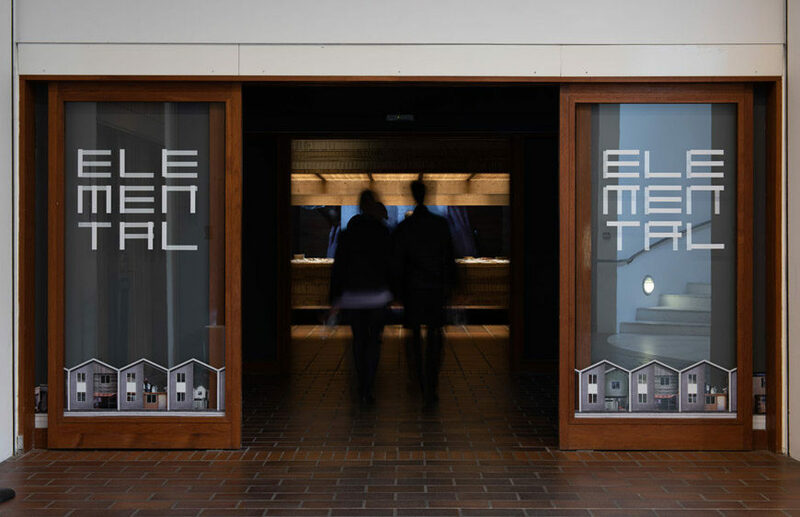 Elemental’s work radiates an honesty that is also evident in the untreated materials – the raw and the primitive make the buildings more timeless than typical of their time. The exhibition has been created in close collaboration with Elemental. 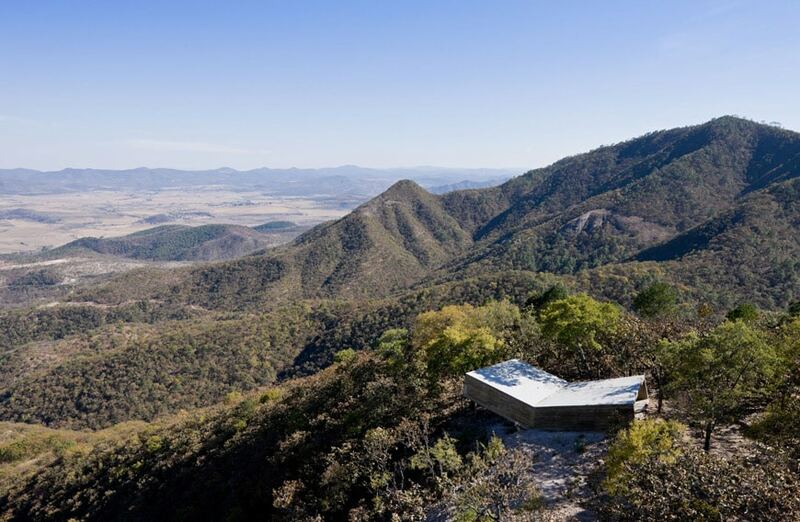 It is built up around two site-specific installations, both testifying to the democratic approach to architecture that the studio represents. The focal point for the first space of the exhibition, WHAT IS ELEMENTAL? 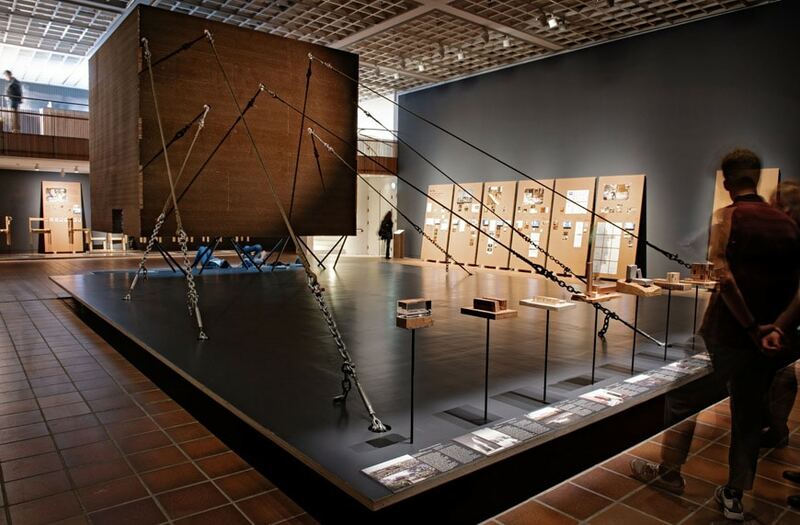 is a large installation, a structure of counterweights in which the architecture of the museum forms an active element. 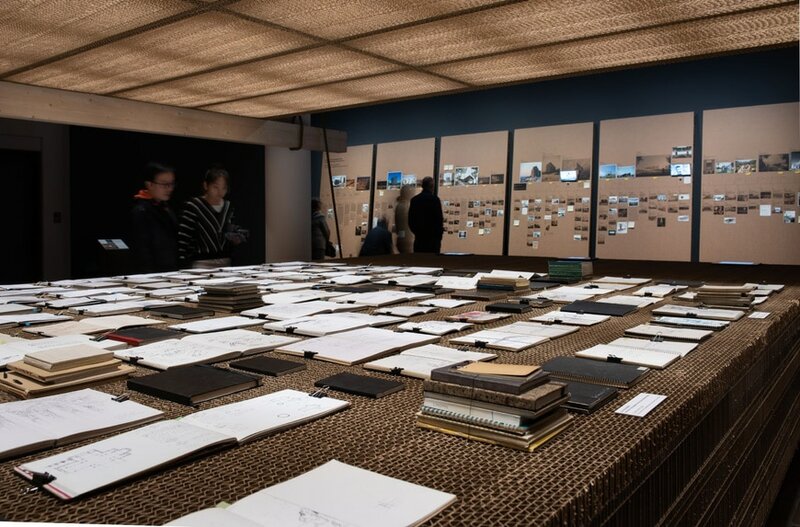 The construction is the bearer of one of Elemental’s most important tools, a large selection of their sketchbooks which encompasses everything from the first notes and ideas to detailed construction drawings and conceptual explanations of the design parameters of the buildings. Here the visitors can use their iPads to browse and zoom through 120 books. 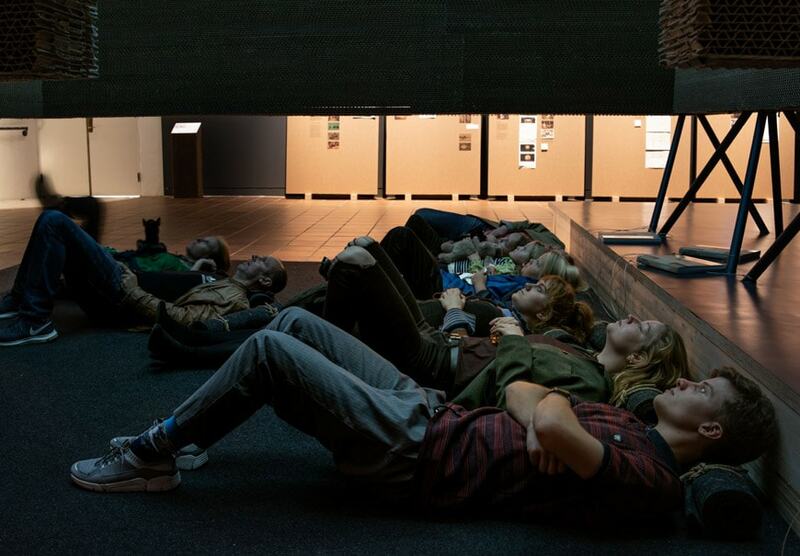 Under the heading, THE ABC OF INCREMENTAL HOUSING, the balcony in the second space of the exhibition stages two very different fields of Elemental’s work. One is the social housing estates, the so-called ‘half houses’, and the studio’s manifesto, the ABC of incremental construction. This is unfolded in pictures, text, video, and models, and describes the specially expanded user involvement that they practice. The second field features design products – two lamps created in collaboration with the Italian lighting firm Artemide. One of them, the Huara, takes its cue from the encounter between the only lights human beings originally had – the natural ones in the sky – and the latest technology. The second one, the O-lamp, inspired by the relationship between the light of the city and the light of nature, is almost invisible when not in use. 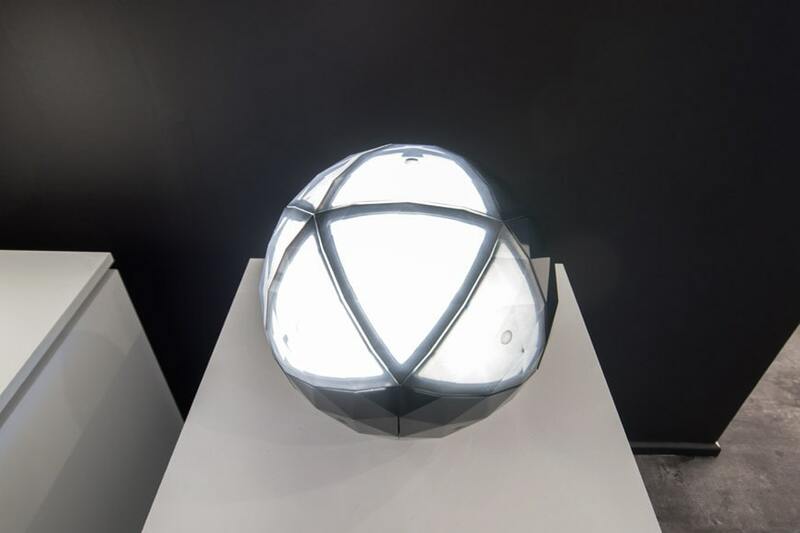 the Huara lamp, Artemide, photo Inexhibit, 2018. The third space, SO FAR …, shows the second large installation of the exhibition, which is also a spatial manifestation of the main principles of Elemental’s architecture: the body’s direct sensation of weight, balance and gravity. Although Chile and Denmark are far apart, and between hemisphere and hemisphere there are cultural differences and different languages, our bodies experience the same in the architecture. The installation is a wordless manifestation that involves a filmed review of Elemental’s works viewed from above – from the northern hemisphere, along with a number of the studio’s raw, beautiful wooden models. Also shown here is completely updated documentation of the genesis of the exhibition, which extends over a year and a half – right up to the opening of the exhibition at Louisiana. Finally, a fourth theme is shown, OPEN SOURCE DESIGN, which deals with a design object, the Silla Chair. It has been created on the basis of available principles, as a kind of ‘open source’ design that can be passed on to others and improved as it goes. The chair was created when a basic design was sent off to a prison in Santiago, where the inmates could then develop the chair further. The section describes Elemental’s omnipresent working tool WE – Workshop Elemental.